At this time of the year, music lovers around the world as well as all the locals in our area start to anticipate the huge two-week Coachella Music and Arts festival that opens on April 10th. And this year there’s an interesting little fashion twist in the pre-festival news: Swedish clothing designer and retailer H&M has introduced a Coachella-inspired line of women’s fashions. Women who can’t make the concerts can still get into the spirit of the event by adding some pieces from this collection to their wardrobes. The clothing goes on sale starting March 19th and will be in 350 stores across the country. H&M has been a sponsor of the festival for six years and I think their creative department had a brilliant idea when they decided to design a line of clothing to reflect the festival. If you don’t have your tickets yet, donning your Coachella apparel might be the best way to share in the experience. All the concerts are already sold out and with performers like Jack White, AC/DC and Steely Dan on the bill, that’s quite understandable. Through the years, I’ve seen various celebrities who have clothing lines marketed in their names, but to have fashions sold under the name of the valley where we live here in La Quinta is truly an original idea. If you browse through the fashions, you’ll see that they have a certain retro bohemian look to them. They would be great not only for the festival, but for wearing at any outdoor warm weather event. In a way, the style reflects the diversity of lifestyles in La Quinta, Indio and the general Palm Springs area. Whether you’re younger and enjoy the latest hot indie rock group, or you’re older and like to spend your time outdoors playing golf or tennis, you can find a supportive community and circle of friends here. And as a real estate professional, I need to point out that not only can you buy a line of clothing inspired by Coachella, you can buy a home that is actually located in the Coachella Valley. If you do that, you can enjoy the uniqueness of this area all year long. In some ways, our free downloadable guide to golf courses puts this quality in a graphic form. You can see at a glance the great number of courses you have within minutes of your home when you live here. And while I often give you information about special events that are happening in our community, when you live in a place like La Quinta Resort, for example, there is always something to do and local happenings to attend. You have golf out your front door and great dining in restaurants like Morgan’s. Staying in is good too! Of course, with our climate and the extraordinary design of the houses in La Quinta, Indian Wells and the Palm Springs area, you can stay at home and have a wonderful time as well. If this sounds appealing to you, please download our guide and then call us so we can answer your questions and give you additional information. What Will It Be Today, 8 Chukkas or 18 Holes? Where can you find horses, wedding parties, golf carts and pop music stars? There aren’t too many places on the planet where those groups come together but here in the Coachella Valley we are blessed with the Empire Polo Club in Indio. Established in 1987, the Empire Polo Club has a dozen grass polo fields, an indoor polo arena, stables, exercise tracks, the Tack Room Tavern, beautiful venues for weddings, and a lot more. If you’ve never watched a polo match, you need to make it out there. It’s a great spectator sport and you can really enjoy the company your with during the event. The horses are incredible athletes and it’s great to see how the players work with their steeds. The games are divided into eight seven-minute chukkas and typically last two hours. And if you want to do more than just watch, there are a variety of ways to learn polo at the club. Now, what about golf carts and pop music stars? Well, for those of us who don’t ride, Empire Polo Club has occasional sessions of golf cart polo. If you’re a golfer you know you’ve been dying to take a whack at a little white ball while you were barreling down the fairway. Here’s your chance! And regarding the pop music stars, the Empire Polo Club is the site of the world famous Coachella Valley Music and Arts Festival. The event stretches over two weekends and in 2015 the dates are April 10-12 and April 17-19. Around this time of year, fans of the event start watching for the festival organizers to announce the lineup. Performers as big as Paul McCartney, Amy Winehouse, the Black Keys and Jay-Z have appeared in prior years. Every type of pop music is represented from rock, to indie, to electronica and hip hop. And all of this happens on an expanse of beautiful green grass where horses would be running around most other days. It’s a very unique place. But we know that in La Quinta, Palm Springs, Indian Wells and even Indio, there is a somewhat more popular sport that involves hitting a hard white ball around a grassy expanse (hopefully!) and that’s golf. Since the history of polo dates back to the sixth century BC, it’s been around far longer than golf, whose origins go back a mere 700 years in comparison. However, there’s no doubt about which is more popular today and that’s why we offer a free Golf Resource Guide and not a guide to polo fields. And if you haven’t yet downloaded our guide, we encourage you to take advantage of our offer. It’s a great way to get a feel for how all the golf courses in La Quinta, Indian Wells and the general Palm Springs area relate to all the communities where you might consider buying a golf course home. We have also included information on the relative costs of country club memberships as well as real estate prices. For many, owning a home on or near great courses such as The Tradition, PGA West, The Citrus Club, and others is a dream come true. We’re in the business of helping people realize those dreams, so if you would like additional information or have more questions after you’ve looked over our guide, please give us a call, we’d love to help out. All the Valley’s a Stage, and Golf Courses! Throughout the year, there are events in the Coachella Valley that bring some of the world’s best athletes into our community. For those of us who sometimes make better spectators than we do participants, these are great times and I’ve mentioned them before on these pages. However, if you like being in the audience there’s more than just sporting events to see here and I’m going to briefly touch on a couple of these today. I want to talk about live theater and a special project that has been getting a lot of attention recently. The McCallum Theatre in Palm Desert is a venue that offers the widest variety of performances imaginable. Broadway productions, ballet and concerts keep the facility hopping with activity all year long. Scanning through upcoming events, I see that Guys and Dolls, Anything Goes and Memphis are among the musicals scheduled over the next few months. Musical acts coming up include Vince Gill and The Time Jumpers, Neil Sedaka, the New Christy Minstrels and Patti Austin. There’s also comedy, dance and some great Christmas programs. As this line up demonstrates, renowned artists perform regularly, but I also wanted to mention a more of a local initiative. It was recently announced that the McCallum Theatre is teaming up with David Gonzalez, a nationally known storyteller and poet, to preserve and present the stories that come from the eastern Coachella Valley. This will be a way of honoring and celebrating the heritage of this region. Gonzalez will be going through neighborhoods in La Quinta and Indio – among other areas – to talk to locals and gather their stories. Eventually he’ll present these stories through different media, such as video and online, as well as in performance settings. It will be interesting to see how he is able to capture and highlight the local cultural heritage of our area. All of these offerings add to the “active lifestyle” we’re able to enjoy in La Quinta, Indian Wells, Palm Desert and the greater Coachella Valley. But I would be remiss if I didn’t also mention some of the things that put “active” in the active lifestyle, especially golf. When you can live in communities like any of the 10 that are part of the La Quinta Resort, you begin to understand why the phrase “Golf Mecca” is often used to describe our area. Those 10 gated communities span the La Quinta Resort’s three golf courses and include six communities that are actually within the gates of the resort. Among those six The Mountain Estates and The Enclave feature some truly magnificent custom homes. And to get a great idea of how all of these golf courses and golf course communities are situated, be sure to download our free golf resource guide. It gives you a “bird’s eye” view of the Coachella Valley so you can see how the courses are located. It also serves as a country club membership guide by providing great information on membership fees and more. Of course, if you call we can give you even more information than you can get from our guide as well as help you decide which communities would best meet your needs. But take a short jaunt out of town and the phrase “good drivers” takes on a whole new meaning. At the Thermal Club, it’s not the swoosh of a nicely stroked tee shot that you’ll hear, it’s the roar of a powerful and finely tuned engine. What a private, members-only country club is to golfers, the Thermal Club is to professional and talented amateur race car drivers. It’s probably the best private motor sports facility in the world. It boasts 4.5 miles of track spread over three different circuits along with an incredible clubhouse and some fantastic private homes. Instead of a home on the third fairway of the Citrus Club, how about a home on the Desert Circuit’s second straightaway? Instead of maybe hitting 20 mph in a golf cart, how about 200 mph in a formula car? Some pretty big news came out of The Thermal Club recently. BMW is coming on board to create a dedicated road course and training facility. It will be called “Performance Center West” and is supposed to open by the end of the year. It will give non-members a chance to satisfy their need for speed in the Coachella Valley. BMW says it expects to attract as many as 17,000 customers to its facility every year. The course will be 1.4 miles long, occupy 32 acres, and have an 8,500 square-foot performance facility. Just when you think your neighborhood has everything, a project like this is announced. When you consider the realm of major individual sports – such as golf, tennis, road racing and swimming – there may not be any other place on earth that has as much to offer as we have here in La Quinta, Indian Wells, Palm Desert and the general Palm Springs area. Will we someday have to redo our golf resource guide to include this booming high performance driving facility? Maybe, but in the meantime, if you’re interested in getting some extremely useful information on our golf courses and the real estate that surrounds them, you need to download the free guide. You’ll get an excellent overview of the area, including specific information on virtually all of the courses. If you want a home at PGA West, Mountain View Country Club, Rancho La Quinta, The Hideaway, The Tradition, and many more, our guide is the best place to start. We would love to have the chance to answer any of your questions and help get you pointed in the right direction. Maybe one day soon you’ll come by our office and we can take you out to see some homes. Let us do the driving. We won’t hit Thermal Club speeds, but we’ll get you around town quickly and efficiently! They say that if you play a round of golf and walk, you’ll cover about five miles over the course of 18 holes. If you’re using a cart, you’ll walk about a mile. So, if you really want to get some great exercise, in addition to the golf and tennis that you will be playing in our beautiful Desert, come to the Coachella Valley the week-end of Oct. 24 and sign up for the annual “Patriot Ride for Our Heroes” in La Quinta. In addition to a great workout, you will be supporting such a good cause. The second annual event is set for Oct. 24-25 and at Gallaudet Properties we’re proud to have one of our own riding this year: Charles Baughman. October is the perfect month for the event. The weather should be ideal for participants. Whatever your personal level of fitness might be, the fundraiser offers an event you can handle. Bicycle rides range from 100 miles to just five miles and there are fun walks of one, two and three miles. Patriot Ride for Our Heroes proceeds go to benefit charities that are related to the military, fire departments and police departments. The event got its start back in the fall of 2012 when Tim Esser took a personal ride to Twenty-Nine Palms with several wounded marines to deliver the American flag. We send our best wishes to all those who participate with a special thank you to Charles who we know will do a great job and finish strong. Of course, no matter where you ride a bicycle in La Quinta and what Bike Hint gear you use, you’re going to go past a golf course – and probably not just one, but several. And whether you walk the links or ride in a cart, it’s always good exercise and great to get outside. While we don’t have the 100-mile Patriot Ride for Our Heroes route plotted on our free golf course resource guide, we have just about all the information folks want to know when they’re thinking about purchasing a home in La Quinta, Indian Wells, or the general Palm Springs area. Not only is it a comprehensive map of courses in our area, it includes a detailed membership guide as well as information on the surrounding cities and neighborhoods in terms of relative real estate prices. If you want to get excellent information on courses such as Mountain View Country Club, Rancho La Quinta, The Citrus Club, The Palms Golf Club, Painted Cove, PGA West, The Hideaway, The Tradition, The Quarry, along with the nearby properties, our guide is the place to start. Of course we’re here to answer any questions you have and set up some showings for you when you’re ready. Farmer’s markets in communities all across the fruited plain are one of the best developments that we’ve seen over the last decade or so. Being able to buy produce at their peak freshness has been a real boon to home chefs – and to our nutrition. Most areas have growing seasons that are fairly short, so farmer’s markets come and go pretty quickly. Due to its climate, California is better off than many states and in California, no place is better than the Coachella Valley. In fact, we have excellent farmer’s markets every month of the year. We’re right next door to the Imperial Valley which is a major agricultural area that’s able to get two full growing seasons in each year! If you live further north, those beautiful domestically grown vegetables you get during the colder months are probably from the Imperial Valley. La Quinta, Palm Desert and Palm Springs each has its own certified organic farmer’s market. You can shop these markets for everything from standard produce to dates, herbs, nuts, cheeses and much more. Generally the farmers are in Palm Springs on Saturdays, La Quinta on Sundays and Palm Desert on Wednesdays, which makes shopping convenient, even when an unexpected need arises. After spending an afternoon out on one of our golf courses what could be better than enjoying a home-cooked meal in the evening that features fresh, organic and locally grown produce? The only thing that might improve this picture is being able to enjoy the meal out on your back patio or deck – and that’s something you can do here almost all year long. And as proud as I am of our bounty of farmer’s markets, the golf course options – and golf course living options – you have in La Quinta, Palm Desert, Indian Wells and the general Palm Springs area are far greater. Also, It’s interesting to note that the same thing that makes this area suitable for enjoying fresh produce virtually year round, is the same thing that makes it perfect for playing golf all year – the climate. Here in La Quinta, they’ve been holding the farmer’s market in Old Town La Quinta and that’s just minutes away from several great courses, including the Tradition, Rancho La Quinta and PGA West. It’s not difficult to imagine playing a round of golf, stopping by the farmer’s market on the way home and enjoying a great dinner with your family and friends. If you want to get a mental picture of what it would be like to enjoy an evening of outdoor dining and entertaining, explore some the golf course community links above and take a short online tour of a few homes in our area. Then to get the larger perspective of courses and communities, download our free guide to Palm Springs area golf clubs. It has all the courses plotted out on a detailed map and also includes a wealth of pricing information, both for real estate and country club memberships. After that, the only thing left to do is give us a call so we can fill you in on more details about La Quinta real estate, Indian wells real estate and Palm Springs real estate. We can answer all your questions and get some showings set up for you. One final question: How should I end this article: bon appétit or fore? Some funny things can happen on the golf course. If you’re a long-time golfer you’ve probably seen that little white ball take some crazy bounces. But as well as funny things happening on the course, a lot of funny folks have been associated with the sport. Here in the Palm Springs area, Bob Hope hosted his “Bob Hope Chrysler Classic” from the 1960s through to his death in 2003 and then another funny man, George Lopez took over the helm. There are days when it seems like every time you flip on the television you see George Lopez in a new sitcom or talk show. He’s one of many celebrities who’s a huge fan of golf and that probably explains why he purchased a home in La Quinta about two years ago. He told the local paper here not long ago that he found himself staying at La Quinta Resort and playing the courses there so often that he should probably find a house. It’s pretty good testimony to La Quinta Resort and the courses in our area when a man like George Lopez – who could live and play anywhere – buys a home here. By the way, although Lopez is no longer hosting the Bob Hope Chrysler Classic – now the Humana Challenge – he is still very active in the celebrity golf tournament scene. He has his own tournament, which is held each year in the Los Angeles area. He gets a lot of big names and the money raised goes to support recovery programs. Keep Lopez in mind when you come to La Quinta to play a few rounds and look at property. Who knows, you might run into him as you wait to tee off. And if you want to see exactly how the various courses and communities here are spread out along the floor of the Coachella Valley, be sure to download our free golf resource guide. It’s the ideal place to begin your search for the perfect location. We’ve color-coded the various types of courses: private clubs, public clubs, public courses, resort clubs, and private courses. You can use the map to tell which courses have homes and which don’t offer real estate. We also include estimates of home prices as well as deposits and dues for golf club memberships. The first thing that impresses most people is the sheer number of great courses and real estate options they have. Courses like the Citrus Club, Mountain View Country Club, Rancho La Quinta and several others are always at the top of home buyers’ lists. Another good option is the Painted Cove neighborhood here. It’s close to Old Town La Quinta and just a short golf cart drive to Silver Rock Golf Resort. There’s never enough space in these articles to outline all the places we’ve come to love so much and that’s one reason we encourage you to give us a call. We can answer your questions and help you locate some homes that would be perfect for your family and lifestyle. And hey, you might discover that George Lopez is a neighbor. No joke! Looking for a Great Golf Course? So Is the Humana Challenge. In a way, that must be how the organizers of the Humana Challenge must be feeling right now. They are looking for two new courses for the tournament after 2015. Of course, changing venues involves a lot of work and officials tasked with the job have many details that must be taken care of. Yet with so many excellent contenders, I think one of the biggest challenges is narrowing down their options. Bob Marra, CEO and tournament chairman for the Humana Challenge, seemed to echo that thought when he recently said, “As you know, if any area has options for a PGA Tour event, it’s the Coachella Valley.” Of course, all of those great golf course options also translate into a lot of great options for golf course real estate. The tournament plays three courses each year and replacements for two of those need to be found for the 2016 event. The two PGA West courses that have been often used in recent years – the Jack Nicklaus Private Course and Arnold Palmer Private Course – won’t be available. La Quinta Country Club is still on the 2016 schedule. The tournament has been associated with PGA West in La Quinta since 1988 and the Palmer Private Course has seen a lot of play over those ears. Golfers who are also fans of the sport’s heritage will remember David Duvall’s final-round 59 on that course back in 1999 that led him to victory. 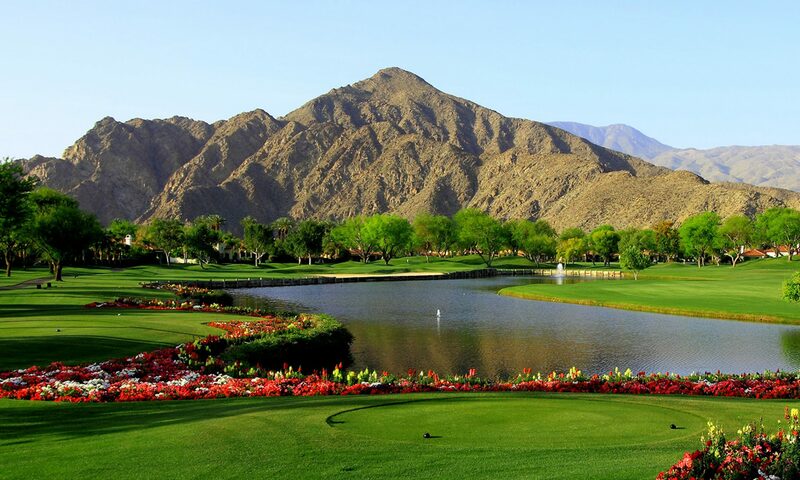 The Jack Nicklaus Private Course at PGA West has also been the site of many Humana Challenge rounds over the years. The tournament used to be the Bob Hope Classic and today it works with the Clinton Foundation. Continuing an important legacy of the Bob Hope Classic, the Humana Challenge offers unique Pro-Am playing opportunities. As we get ready to say “goodbye” to the PGA West Palmer and Nicklaus courses after the 2015 event, I want to mention one more thing about them. Both of these courses are certified Audubon International Cooperative Sanctuaries. That program is designed to greatly help the environment by protecting natural areas and wildlife habitat. Environmental planning, wildlife and habitat management, water conservation and quality management, along with education and outreach are major parts of the certification. Here’s an idea for your next visit to our area: Think of yourself as having been tasked with finding two courses for the Humana Challenge in 2016 and make your own personal rating as you enjoy a few rounds of golf in the La Quinta area. SilverRock is one course that locals have said may be in the running. And while PGA West has taken its private courses off the board for the Humana Challenge, some are speculating that the TPC Stadium Course will be called into action. That course will test your skill when you take an afternoon off from scouting real estate. Finally, while there are a lot of details still to be set for the 2016 event, in La Quinta one fact remains certain: We’re still looking forward to a great tournament in our backyard. And if you want an “up close and personal” look at the courses and real estate that make up our “backyard,” download our golf resource guide and give us a call. We can introduce you to all the best places to live in La Quinta and Indian Wells as well as show you all the finest Palm Springs area real estate. Compared to most regions of Southern California, the Palm Springs area, Coachella Valley—including communities such as La Quinta, Indio and Palm Desert—doesn’t have a very large population. However, it’s not the quantity of people that make a place to live special, it’s the diversity of the people, and that’s something that makes this place unique. We have world-class events here unlike any other place on earth this size. Sometimes we have events that no other place on the planet has, period. And I just read about one I’m looking forward to in the fall: the Parade of Planes. Each year there’s an aviation summit in Palm Springs and as part of the festivities, private pilots fly into the airport there and then parade down East Alejo Road and North Avenida Caballeros to the convention center. The California desert has long been a favorite place for aviators and as well as the international airport in Palm Springs, our area also boasts the Bermuda Dunes Airport, which is very near La Quinta, Indio and Palm Desert, and the Jacqueline Cochran Regional Airport, located just down the highway in Thermal. For private aviation buffs, real estate in La Quinta and the neighboring communities can be the ideal location. We haven’t mentioned Indian Wells real estate recently on these pages, but its proximity to the Bermuda Dunes Airport makes it an excellent choice for pilots who also have a penchant for a good round of golf. The Cove Course at the Indian Wells Country Club was home to the Bob Hope Desert Classic for more than 40 years. A lot of great moments in the game happened on that course. The homes there are just as notable and definitely worth touring when you come to our area. Also nearby is The Reserve Country Club. The Reserve Country Club course is designed by Tom Weiskopf and Jay Morrish. Weiskopf, with 16 PGA tour wins to his credit, including the 1973 US Open, brings some real cachet to The Reserve. Of course, even if you don’t fly a plane or swing a golf club, there’s still a lot to do when you live in a place like the Indian Wells Country Club or the Reserve Country Club. Pools, spas and fitness gyms are in the mix. And if you visit the Reserve, you’ll see that it backs right up to the Santa Rosa-San Jacinto Mountains. A quick drive up the road will take you to the Randall Henderson Trail if you want to stretch your legs and look for some desert wildlife in its natural habitat. Okay, have I taken this far enough? I started out talking about an airplane parade and managed to bring it around to trail hiking in the mountains. What more can I include? Oh yeah, I haven’t mentioned our free golf resource guide. Hit that big button and download a copy for yourself. Music, Art and Golf, Oh My! There’s no doubt that La Quinta and the surrounding desert communities are a paradise for people who enjoy sunshine, the outdoors and golf. It’s also paradise for folks who like to do a little people watching. If you’re at all familiar with the area, you know that it’s been a hangout for celebrities for generations. The show business glitterati still visit, but today we get a much more diverse group of global celebs. World class athletes make the pilgrimage here, especially golfers and tennis pros and now with the annual music and arts festival in Coachella, a wide range of top recording artists make the scene. The concert series which wraps up with “Stagecoach” April 27 makes for several great days of people watching. And if one of your favorite recording artists happened to be on the bill, you would have had the time of your life. Of course, that’s only a couple of weekends a year and while the festival may come and go quickly, the golf and other attractions here are pretty much available 365 days a year. Further, real estate shoppers have a huge range of options. By the way, Elvis’s Palm Spring “honeymoon house” is on the market. So if you have an extra $10 million dollars and want to buy a great property and piece of pop icon history at the same time, we’ll get the papers going for you. However, for most of the home shoppers we work with, a great home either on or near one of our beautiful golf courses in La Quinta fits the bill perfectly. And just like concert goers had their choice of artists to see at the recent music festival, golfers here have just about as many choices when they head out to play a round. The La Quinta Resort has three courses itself. PGA WEST has six courses and many more residential golf communities are just minutes away, including The Hideaway, Rancho La Quinta and Mountain View just to name a few. There are great courses throughout the valley, as you’ll see when you drive through Palm Springs and over to La Quinta. And to make sorting them out a little easier, we’ve pulled together a very handy Golf Resource Guide. If you want the big picture—as well as a lot of specific details—about Palm Springs area golf clubs, don’t miss this free download.